This $800 gift certificate includes a family studio portrait session and an 11x14" fine art matted portrait. Have a promo code? - To claim your gift certificate, click on Purchase Now to register your code at checkout. 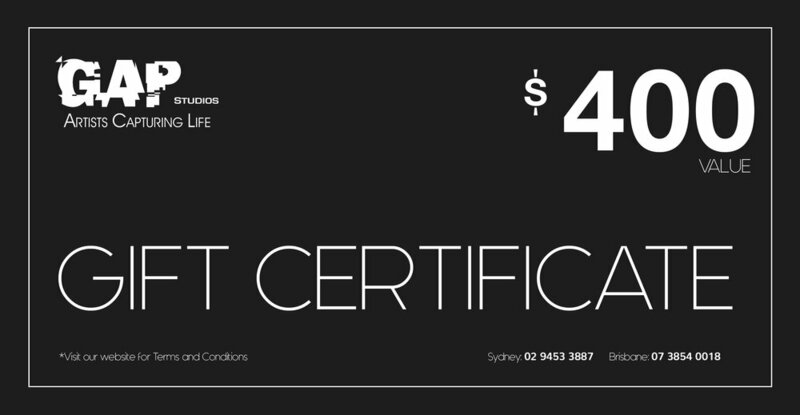 This $400 gift certificate includes a family studio portrait session and $250 credit to use towards artwork.